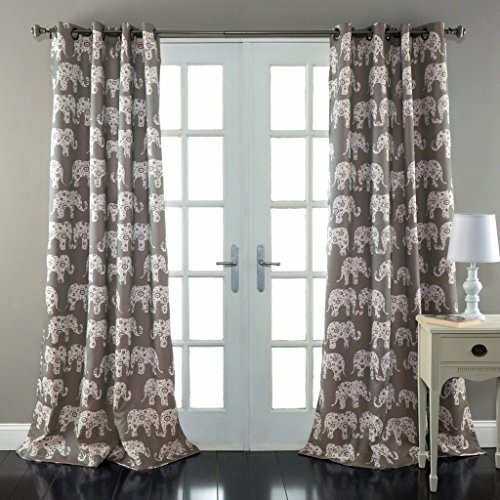 2 piece girls elephant parade cloud grey color curtain, 84 inches long and 52 inches wide. Abstract pattern kids themed curtain, grey white colour teen animal themed wildlife pretty allover blackout curtain. Window treatment header type is grommet top. The curtain is unlined. The curtain is made with polyester, machine washable. If you have any questions about this product by DH, contact us by completing and submitting the form below. If you are looking for a specif part number, please include it with your message.